It can be hard to keep volunteers that care about your organization, but it isn’t impossible! You know the ways you can make your volunteers happy to return. 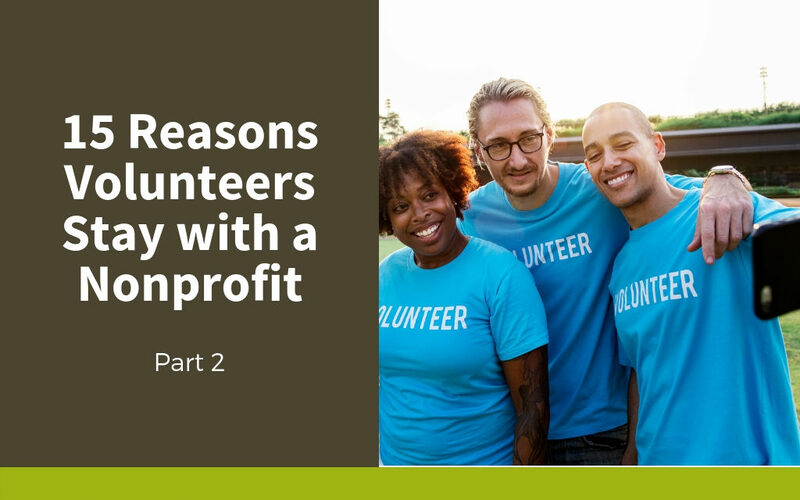 These are some additional reasons why volunteers will continue making generous contributions of their time and effort to your nonprofit. Many volunteers hope to learn something new or strengthen skills they already have. It is crucial to gather as much information as possible about your new volunteers upon recruitment. 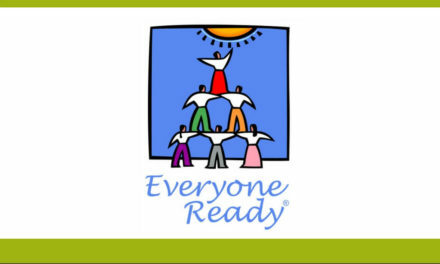 Find out about their current skill set and inquire about the skills they are hoping to develop through volunteering. This is a great way to assess which tasks to assign to each volunteer to maximize retention. Some of the most satisfying work for volunteers comes from direct contact with the individuals your organization serves. They can see the benefits of their work in their role as an aid, mentor, or another capacity. A heartfelt “thank you” from a client is sometimes the best motivation to continue with their volunteer service. Many people use volunteer service to cultivate new interests or to help them make important education decisions. Others hope their volunteer work will help advance their careers. When onboarding a recruit, it is important to ask about their personal goals and what they hope to gain from their experience with your organization. 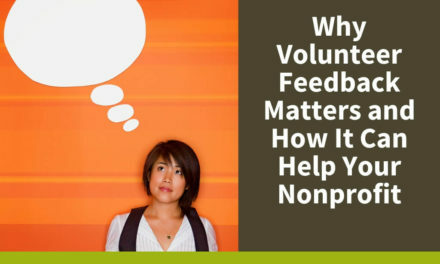 Do your best to give volunteers tasks where they can see instant results. This will assure they have the best volunteer experience possible. Some volunteers choose an organization because they are obsessed with who or what they serve. For example, someone might decide to volunteer with Animal Friends or the Humane Society because they have a true passion for animals. They may already foster dogs and cats at home and want to do as much as they can for their furry friends. Often, a person will volunteer because they are a little awkward or anti-social and they’re looking for a way to meet new people and make new friends. Volunteering is a great way for them to do this because it immerses them into a family-type, group atmosphere, where everyone is working toward a common goal. This removes the pressure and anxiety that might come from normal social situations and make it easier for them to open up. Some people feel like they don’t have much control over their regular work or personal lives and desire a feeling of ownership. When you give a volunteer a task to lead a specific activity or event or mentor or train a new recruit, it makes them feel in charge and important. 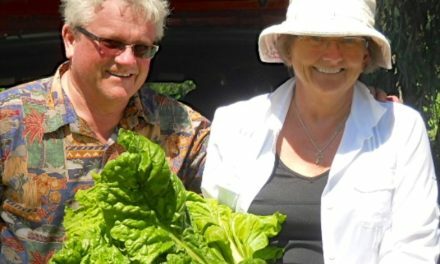 If you have dedicated volunteers that have proven themselves over time to be reliable and hardworking, offer them the opportunity to take charge of a project. It will make them feel great and keep them coming back. Gather information about their motivations and goals. Allow them ample contact with the individuals you serve. Offer opportunities for them to learn new things. Challenge them with higher-level tasks. Thank them for doing a good job.